Join us for one or two days of pet programming for one great price! Join us for one or two days of pet programming for one great price! PPA members receive this special price. 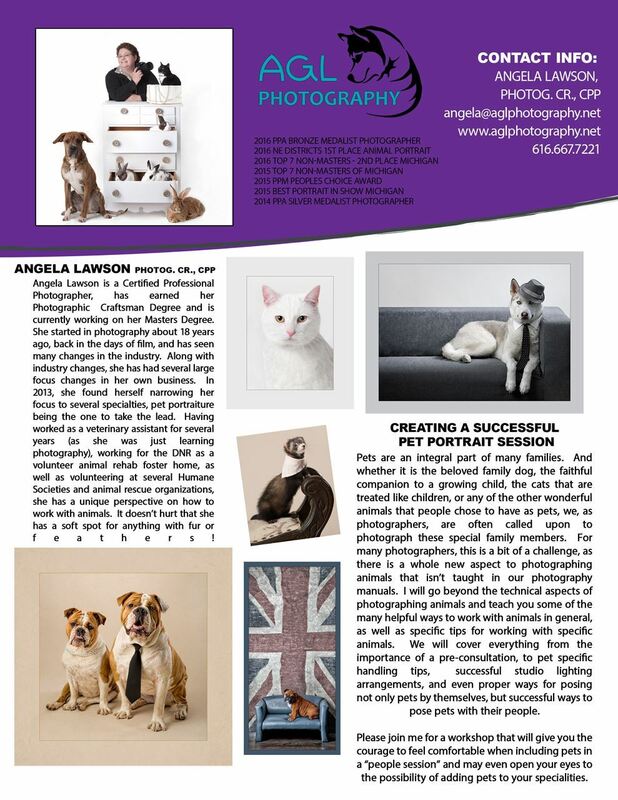 MDPPA Offers Two Days of PET PHOTOGRAPHY! PRICING FOR TWO DAYS: $49 MDPPA Members, $149 PPA Members, $199 Non Members. MDPPA is offering up to two PPA Continuing Education Merits for attendance by PPA members! 6.5 hours of attendance= 1 PPA CE Merit, and 13 hours of attendance= 2 PPA CE Merits.